It's no stranger to hear because Bali keeps a variety of cultures and traditions and areas that are subject to philosophy. When we visit Bali, the first thing we see is tourist destinations, tourist attractions, and other local wisdom. Bali is also a requirement for culture and traditions that are thick and inherited from generation to generation. Bali also has many holidays, but the holiday we highlight is Galungan. Galungan is a day when Hindus commemorate the victory of Dharma (goodness) against Adharma (evil). During the Galungan celebration, on the streets around Dewata Island, bamboo was decorated with flowers and produce. The bamboo decorated by the leaf is named Penjor. 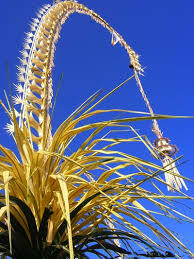 Penjor is made of bamboo which is decorated with coconut leaves by combining Balinese art itself. Penjor is also decorated with pulses, snacks and other crops. The stem is planted and filled with sanggah cerukcuk as a place of worship of God in expressing our gratitude. Can we pick the meaning behind the penjor, bamboo is the representative of all the plants on Earth, plants are very useful for human life, plants also regulate this natural balance, to be able to get a sustainable tradition, we must preserve the bamboo, automatically we have participated in maintaining a small part of this natural balance. From the shape of the penjor which is curved and decorated with leaf, fruit and other crops. Signifying that human beings with everything they have both physical, material and thought advantages, should continue to develop it until it reaches its peak, but, after reaching the top of it all, don't forget to always look down, humble, share with others for what we have. From the aspect of art, penjor is decorated with the art of arranging coconut leaves and other artistic displays, as a manifestation of the realization of Balinese souls who love art itself. Penjor is a form of our gratitude to the Most Creator and Most Giver, by decorating fruit, snacks and other produce on the penjor. Besides that, when we make penjor together, there is a reflection of kinship, togetherness and mutual cooperation. Help each other so that the penjor is finished properly. Nothing is more beautiful than togetherness in difference. Maybe there are still many more meanings behind the guards that we cannot explore yet, hopefully by knowing the benefits, we can become better towards it.